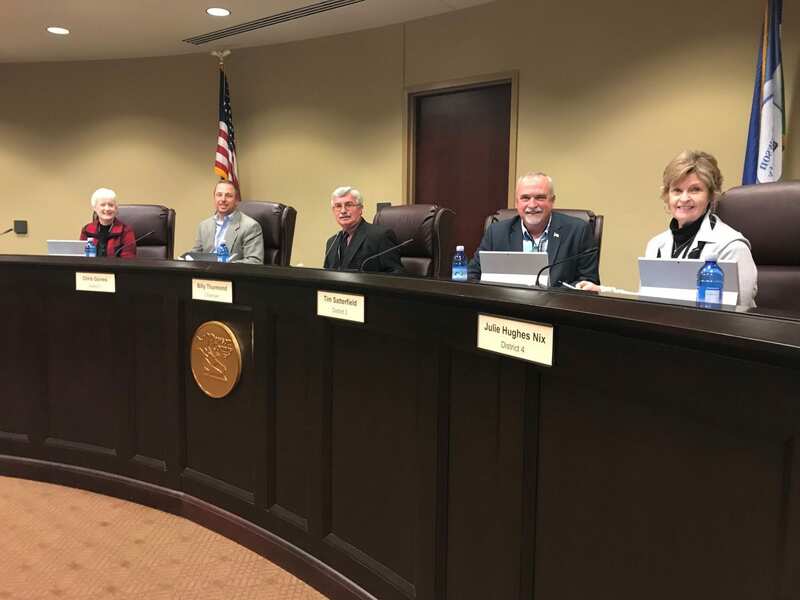 DAWSONVILLE, Ga. – The Dawson County Board of Commissioners held a work session and the second of three public hearings on the proposed 2019 budget of $27,130,089 Thursday. 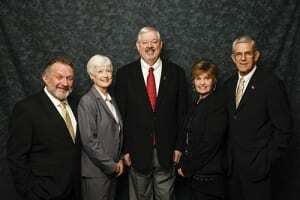 Commissioners will hold the final hearing Thursday Oct. 18 at 6 p.m. in the County Administration Building. The proposed budget includes 23 new employees –19 full-time and four part-time — at a cost of a little over $932,000. 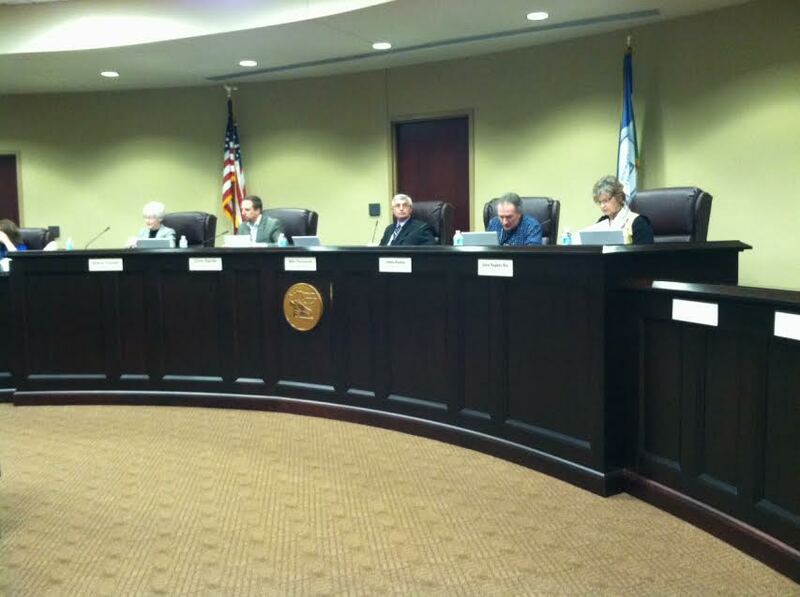 During the work session, commissioners voted to table the consideration of annexations until the Oct. 18 meeting. 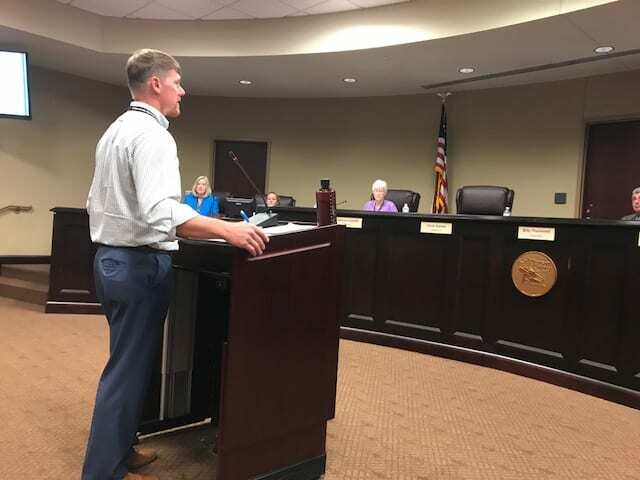 KARE for Kids Board Member Tom French presented a request to use the several county facilities’ parking lots to park cars during the Mountain Moonshine Festival. Those lots requested include the Justice Center, Sheriff’s Office, K Long Building and Voters’ Registration (Sunday only). Family Court Treatment Services Director Debbie Mott presented an application grant for supplemental funding for creation of the Dawson County Family Treatment Court. Mott is seeking $67,642 in funding from the Criminal Justice Coordinating Committee. To be approved the county must provide $7,516 in matching funds. 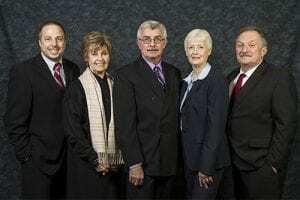 If approved, Mott said Treatment Services would use the funding to create the Dawson County Family Treatment Court, hire a full-time case manage and buy office furniture, equipment and supplies. Department of Emergency Services Director Danny Thompson asked commissioners to approve a memorandum of understanding (MOU) with Integrated Public Alert and Warning System (IPAWS) that would create a local collective operating group to disseminate warnings for specific emergency alerts. The Federal Emergency Management Agency is the designated agency in the Department of Homeland Security that implements the policy of public alerts on a national level. IPAWS is the platform used. However, FEMA recognizes that most alerts and warnings come from the state or local level, therefore there is a need for an authorized group of individuals to disseminate those alerts. Thompson also presented a request to apply for an Assistance to Firefighters Grant that would allow the department to purchase self-contained breathing apparatus. FEMA will provide 90 percent of the total cost. Dawson County would provide the other 10 percent. Director of Public Works Director David McKee asked commissioners to consider acceptance of Marketplace Parkway into the county road maintenance program. Marketplace Parkway, formerly Gordon Moss Road, was developed as a commercial subdivision by Hendon Properties. The developer has built and posted maintenance and performance bonds for the roadway. Staff has performed all required inspections and has deemed the road completed. DAWSONVILLE, Ga – The Dawson County Board of Commissioners is expected to vote on Coroner Ted Bearden’s request for funding for one additional deputy coroner position beginning on Oct. 1 when it meets in a regular session Thursday at 6 p.m. in the County Administration Building. 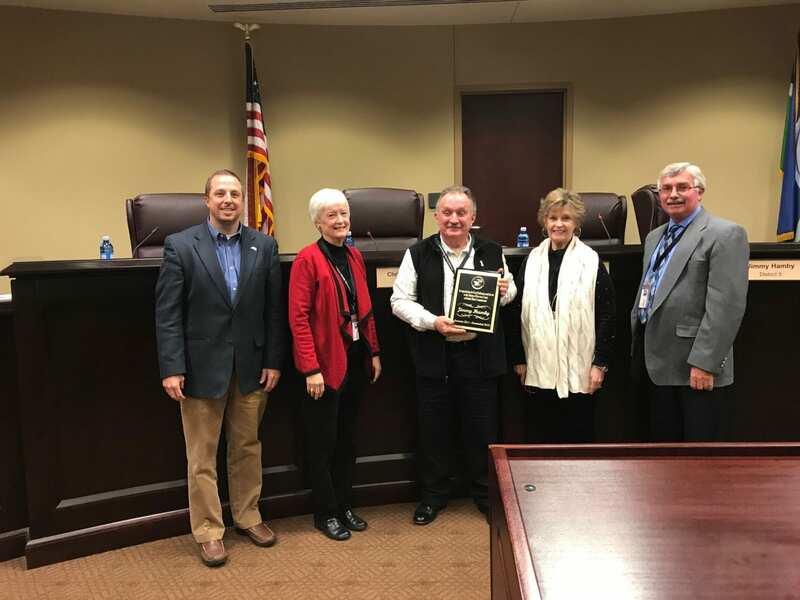 The position has been approved for the 2019 budget, but Bearden told commissioners during last week’s work session that a 30 percent increase in the number of calls since last year had forced him to hire a deputy coroner this year and pay him out of his own pocket. He did not ask to be reimbursed for his out of pocket expense, but did request commissioners approve funding for the fourth quarter of this year, approximately $3,876. He also asked that the coroner’s budget for Other Services (morgue-transportation) be increased by $8,000. He pointed out that the expense had been budgeted for $25,900 in 2017 but only $19,000 this year. Counties are required by state statute to pay for burial or cremation of indigent deceased persons. Bearden requested that the county only provide cremation service because the reimbursable expense to counties is only $2,000. “There is no way to bury someone for that amount,” he said. Thursday’s meeting will also see commissioners vote on a conditional use permit requested by Herman Goforth to allow for multiple accessory structures to be built on a 2.744-acre tract. The property is located on Lumpkin Campground Road near Hwy. 53. Another request commissioners will have to vote on is one made by Public Works Director David McKee who has asked for a professional services exemption for Wakefield Beasley and Associates. The company provided the preliminary civil engineering design for the Veterans Memorial Park ballfield dirt relocation and storm water management plan, which was incorporated into the full design plans for the construction of the new Senior Center building. The county is in the beginning stages for relocation of the current pavilion, playground and update of the walking trail and unused ball field directly across from the Senior Center. McKee asked for the exemption so Wakefield Beasley & Associates can complete its preliminary work on these designs and plans. The cost is not to exceed $53,915. McKee said the exemption would save the county the expense of hiring a new firm to become familiar with the site, draw up preliminary plans, and create the complete plans/specifications for for construction services. Commissioners will also vote on the 2019 Board of Commissioners meeting calendar which accommodates a couple of holidays — July 4 and Thanksgiving — which fall on Thursday. Meetings those weeks will be held on Tuesday. The proposed calendar also accommodates the Association County Commissioners of Georgia Annual Conference in April 2019. Additionally, no meetings are scheduled for the weeks of New Year’s and Christmas. 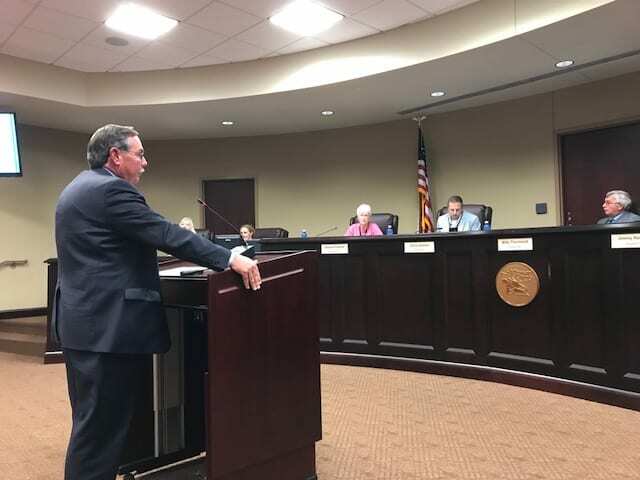 DAWSONVILLE, Ga. – Dawson County Coroner Ted Bearden appeared before the Dawson County Board of Commissioners during last week’s work session to request an increase in funding for this year’s budget. He attributed the increase to drug-realated deaths and deaths of a violent nature. The county has added a deputy coroner position in the 2019 budget, but Bearden said he has already hired a deputy coroner and has been paying him out of his own pocket. 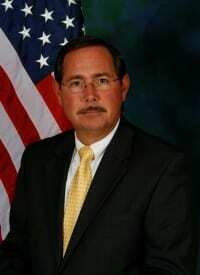 He asked the county to pay the salary and benefits starting Oct. 1. “It would be a big help to us if we could go ahead and do that,” he said. The old pavilion at the park is to be torn down to accommodate a parking lot for the new senior center that is under construction. McKee explained that in losing the old pavilion a new design plan will have to be done to accommodate the drainage that will be lost there. Wakefield Beasley has been involved in the design of the senior center from the beginning. Commissioners discussed the proposed 2019 Board of Commissioners meeting calendar which will include a couple of minor changes to accommodate Independence Day and Thanksgiving, which fall on Thursday. Those meetings will be held on Tuesday. The proposed calendar also accommodates the Association County Commissioners of Georgia (ACCG) Annual Conference in April. Additionally, no meetings are scheduled for the weeks of New Year’s and Christmas. Also on the agenda was a discussion about the reappointment of Chief Voter Registrar Glenda Ferguson to Chairman of the Board of Elections & Registration. That is expected to be approved at the next voting session.